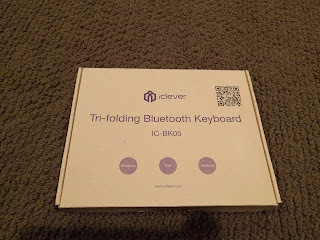 It seems there are more and more portable bluetooth keyboards for people to use with their tablets, phones, or maybe even laptops. Previously I have written about the iClever Portable Bluetooth Keyboard. 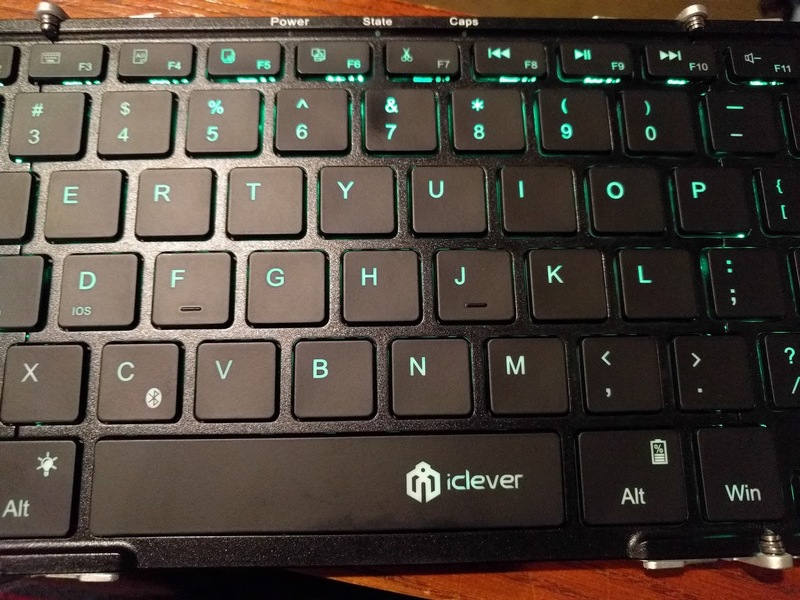 Recently they sent me a similar keyboard, but one that has backlighting capabilities, called the Ultraslim Backlight Foldable Keyboard. This was a little heavier, but not by much. 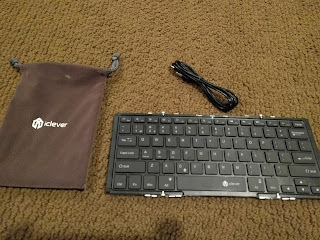 Again this keyboard came with a nice soft velvet case to store and carry the keyboard in as well as a USB cable to use for charging (not charger was included however). Opening the device was all you needed to do to power it on. Pairing the device was seemingly straightforward, and my Nexus 6P was able to show the device in the bluetooth settings. 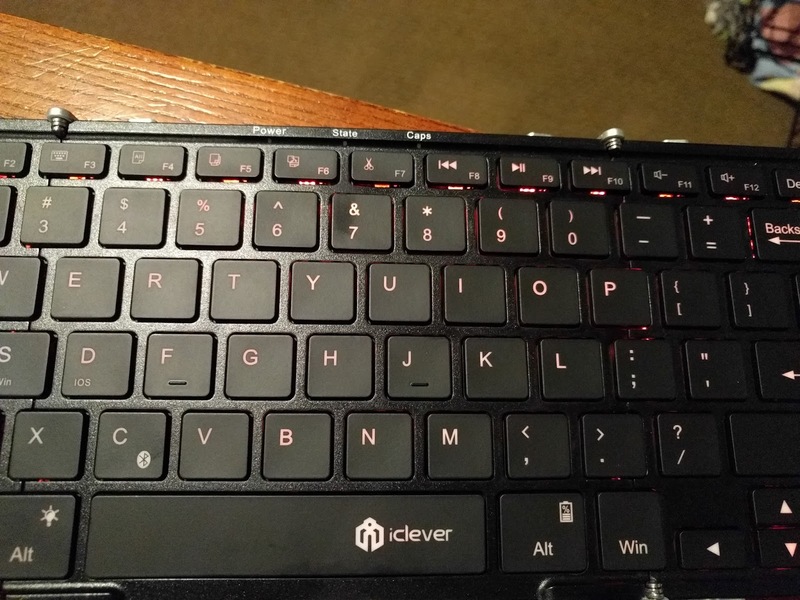 However connecting the keyboard was unsuccessful with the 6P. I thought maybe it was because my 6P was running Android N Developer Preview, but first wanted to rule out the device as opposed to the OS. Connecting to my Nexus 6, also running Android N Developer Preview, was a success. So it stands to reason that the OS was not the road block, but rather the Nexus 6P. 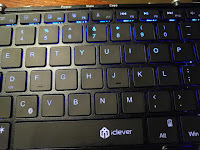 Oddly, there is one step that is required prior to bluetooth connectivity, you needed to toggle the Wireless capability on first, which is described in the included user manual. 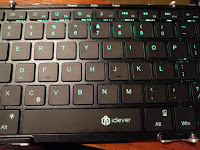 But I guess this is due to the wired capability of the keyboard, where you can use the included cable to connect directly to your device. 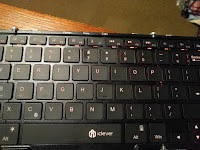 Once connected the keyboard worked as expected with keyboard touches immediately responded on the screen of the device. 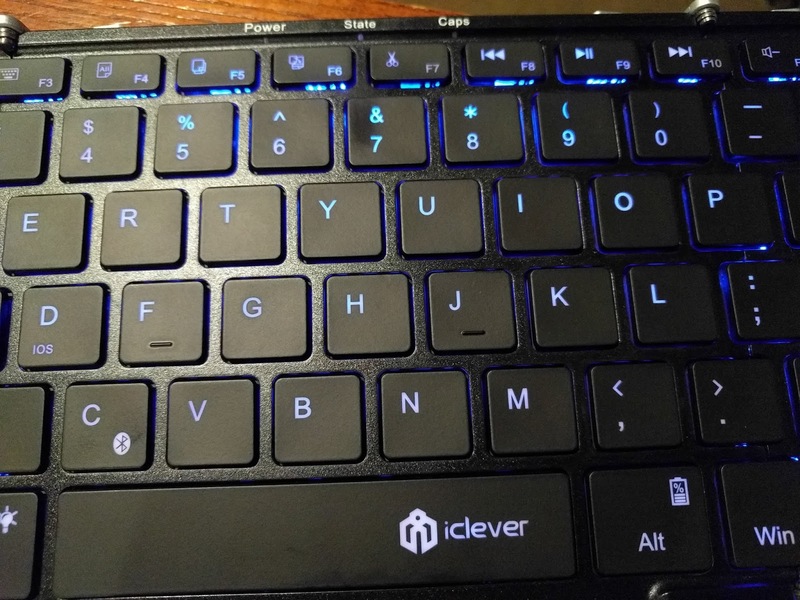 For use in dark areas the keyboard has some nice backlighting which can be changed from Red, to Blue, to Green. I would have liked to have seen a plain white backlighting option as well, but the offered colors worked well and were night overly bright. 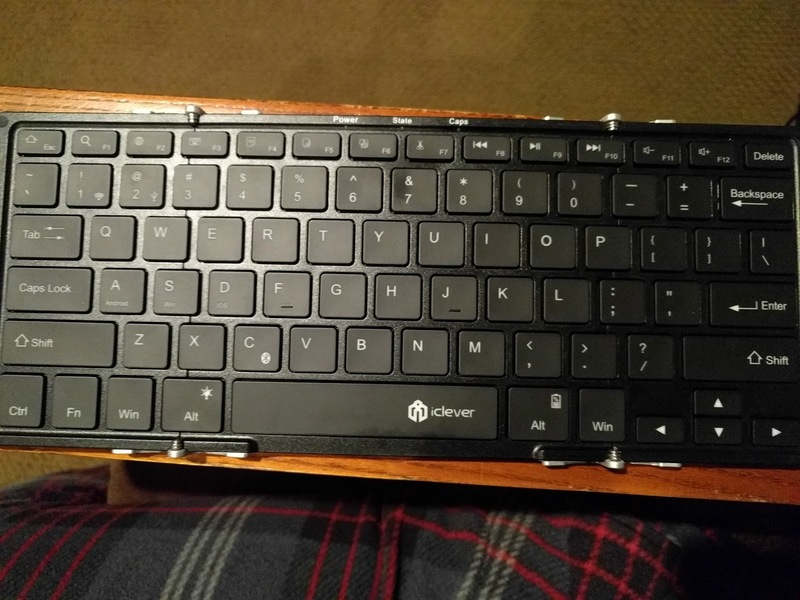 Unfortunately I found the folding capabilities to be a hindrance when using the keyboard on my lap. 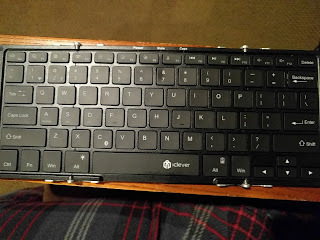 Tapping on keys in certain spots would cause the keyboard to slightly begin to fold upon itself. 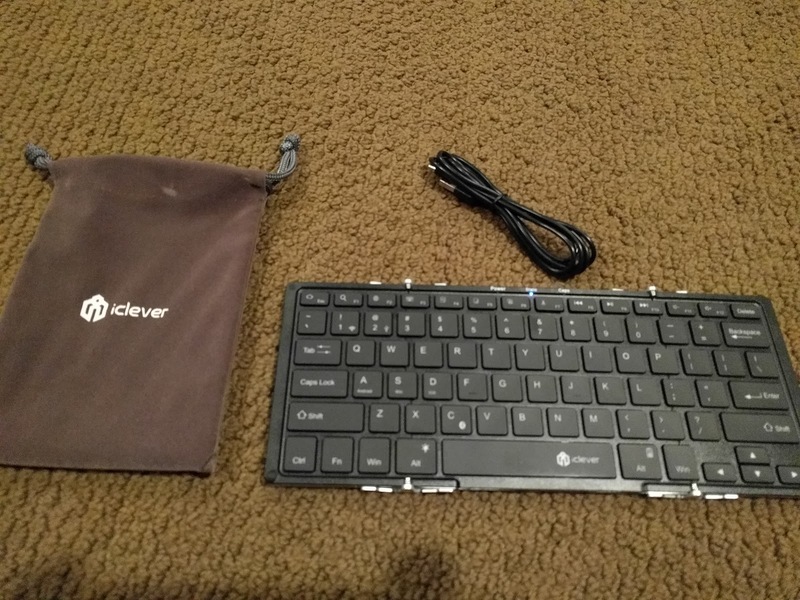 Overall I found this keyboard to be ok, but the added wired and backlighitng capabilities were not worth the additional cost over the lightweight bluetooth keyboard iClever offers.